But please don’t drop into my office without an appointment, as I am currently fully booked. Hi Alison, I subscribe using RSS feed and would like to "Read more…" of the post titled 'Can teaching be toxic?' but my link isn't working and I can't find it on the Blogsite. Any suggestions? I love your website and have been finding it very helpful. My son has dyslexia, and is in grade 4, and just now getting the help he needs. I appreciate any information that I can find, and I like to 'pay it forward' by posting links to excellent resources for other parents and perhaps even some teachers to read. It would be fabulous if you had those handy little share buttons at the bottom of your blog posts so I could spread the love! Apologies, I was meant to attend your SPELD workshop tonight, but unfortunately I got caught up at an SSG meeting at school (in Bacchus Marsh) and haven’t been able to make it back to town in time. Is it possible to please receive a copy of any hand outs? Or are you perhaps running the workshop again at a later date? Hi Meg, I can send you the handout, yes, and the SPELD person is going to circulate the slides though they won’t make a lot of sense without having been there, I don’t like using slides that have a lot of text on them as people read the slide rather than listening, so lots of them are just pictures. 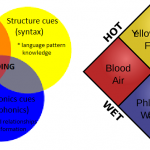 I very much enjoyed your video clip 'How Phonics Got Framed' and your other blog posts. I am one of the three teachers who publish Dandelion Books and Totem and Talisman Series. I noticed that you review new products on your website. I was wondering if you would be interested in reviewing any of our products. I have just discovered your website and have shared it with the other teachers in our school. We are just down the road from your office! At present we are doing a review of phonics in our school and have found the information on your website to be most helpful. It's wonderful to have so many good quality resources in one space. Dear Anne, how lovely to hear from you, and I’m so glad you find my website useful. Let me know if I can help you any time, or if you know about good things that are not on my website but should be. I’ll have to email you some of my games, since we are practically neighbours. In fact I think my new next door neighbour is one of your prep students, she is hilariously lovely, like all preps. Hi i am an early childhood teacher and have stumbled across your wonderful website. At work we have been having some really good discussion about blending. I was hoping you could give me your opinion on smooth vs choppy blending. We are well and truly into our synthetic phonics journey with wonderful results! look forward to your insight! Hi Sarah, Thanks for the nice feedback, great to hear you find my site useful. I was reading something about blending and segmenting the other day that really emphasised smoothness and minimising the gaps between sounds (I’ll remember what it was about five minutes after I click “reply” probably). We don’t say sounds in isolation when we talk (except in words that contain a vowel with no consonants like “I”/”eye”, “or”/”awe”/”oar”), and all speech sounds are affected by the other sounds around them. For example, you and I have an abstract, “cardinal” idea in our heads about what constitutes the sound “L”, but this sound is quite acoustically different in prevocalic position (as in “lip” and “lop”) and postvocalic position (as in “pill” and “poll”). The mouth is a mushy place so everything blurs together, the technical term for this is “coarticulation”. To build a child’s “cardinal” idea of the identity of each sound, we need to separate it out (keeping consonants crisp and accurate, not sloppy – see this blog post for more details), but once the concept of each sound is established, we need to quickly minimise the gaps between sounds when blending. Lots of extraneous white space between sounds doesn’t really help anyone, though there is a line to be trod between teaching children how to blend, and blending for them. There are some good ideas at: http://www.righttrackreading.com/blending.html. I haven’t tried the technique of getting a child to sing words, but it makes perfect sense, so I will be trying it with some persistently choppy blenders I know. Hope that helps and all the best. I have recently returned from teaching in the UK, East London, for 8 years. Where Phonics (Letters and Sounds) was my life (along with other daily subjects). Since returning to Oz, I have found it hard to understand why there isn't a bigger drive for this to be taught in schools and the Early Years. We had such amazing results teaching with this style and program, that even my new English speakers could identify sound, segement and blend and begin to write at the age of 3 and half or 4 years. My daughter starts Kinder next year and I feel I won't be able to help myself and push phase 1 and phase 2 of the letter and sounds program, that I've taught for so many years, to be happening in the classroom. It probably doesn't help that I have also been mum and teacher since my little one started to make and recognise sounds. Perhaps i just need to find a job!!! Do you have a list of Melbourne Schools teaching using Synthetic Phonics (particularly near Mitcham/Donvale area)? Thanks for responding Alison. If the LDA do establish this list, I'd love to get a copy! Your website and products are amazing, Alison, and now I am a huge Spelfabet fan. Please let me know when your Spelfabet Short Vowel cards are ready to be purchased. I am an Orton-Gillingham Reading Specialist and would like to use these as soon as possible! With your permission, I would like to list your website on my website for OG certified reading specialists. 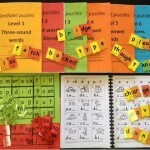 Do you have any favourite resources for addressing letter reversals ie, b and d ? Alison, I am so looking forward to receiving the skpelfabet games. Your video was great and was what sold me on them. I just started teaching and am collecting as many resources as possible. These games will be perfect for our students. I just purchased Workbook 1. Just wondering how many pages or duration per night is recommended for a 7 year old? I just wanted to reach out and thank you. I was pointed in the direction of your website by Lorraine Hammond, having sent her a desperate sounding email about our eldest son’s reading and spelling. He is now 10 and in grade 5, and despite having great success with his reading on the MultiLit online tutoring program (his RA came up nearly two and a half years over the course of last year! ), his reading can still be haphazard and we see we have not given enough attention to spelling. I printed out your workbook 1 and 2 – this is too easy for him, but he had a lot of illness when he was younger, really struggles with the vowel sounds and also has a lot of self doubt and anxiety about his abilities… I wanted to give him a bit of an ego boost. Well. He slammed through 16 pages of the first workbook, and even though it was certainly easy for him, the opportunity to talk about word sounds over letters and whole words (mostly what he’s been exposed to at school) and to acknowledge that ‘he can’t know what he hasn’t been taught’ was fantastic – you could see him puff up! He loves to know ‘why?’ – and the way he had been taught wasn’t making sense to his very logical brain… he watched your bell curve video with me, and nodded along when you talk about how being taught a sound for a letter, and then it immediately being contradicted… this had just been so confusing, and frustrating to him… made it all seem so random. Hubby and I are sci if fans and laugh to each other that Cameron and I must have secret Vulcan DNA. For me to be able to use your resources to help him see that there is some sense and some logic to English (patterns I had been taught myself, but found I couldn’t explain to him until I had immersed myself in your fabulous videos) and for him to start to see some patterns – I’m so grateful I’m having a little cry here! You have given me the confidence that I can help him, and already he has an much more positive ‘I CAN do it’ outlook… and Alison? He asked this morning, on his way out the door to Little Aths, ‘ Can I do more of my spelling workbook when I get back?’… pretty sure that sums it up! Will update you in a few months… thank you! I teach grade 5/6 at St Anthony’s Primary School in Alphington. I’ve just spent over four hours trawling through your website with glee! Thank-you for such a terrific resource. We are an Australian family, now living in Tokyo. My son, now 8, really benefited from a speech therapist back in Australia who taught the same sounds you cover. He is now really struggling with memorization, particularly his math times tables and now Japanese characters. Any suggestions on how to build this skill? Dear Debbie, glad to hear that your son has benefited from his therapy working on sounds, and sorry to say that I’m not an expert in memorisation of times tables or Japanese characters, but there will be other people who are who will be able to help you. Quite a few services now offer Skype consultancy so you might like to consider who you would ask in Australia and then see if you can set up a skype session to discuss the issues and suggest some strategies/activities. I think DSF in Perth routinely offers phone and Skype consultation, as WA is such a big state that not everyone can physically get to a tutor. See https://dsf.net.au/our-services. Hope that helps, Alison C.
Have tried constantly correcting her but this has shown to have 0 impact and just interrupts the flow and fluency of what she is trying to say. She was recently tested as 4 years behind her peers. So she obviously has some huge gaps in her phonological awareness. We are about to start Level 1 Barton and previously had been doing tutoring via SKYPE using mostly Cracking the Code. Really at a bit of a loss how to help her get to the best of her ability. Sadly there is no speech pathologist at our school. We are rural Qld. I have been trying to track down a speech that may be interested in using SKYPE but haven’t found one that will tackle Lily’s particular struggles via internet. She has other grammatical errors I am sure in her speech as everyone that meets her thinks she is American. Just noticed SPELD do a Speech and Language assessment and I know they assess in Warwick. Enjoying the blog! I am wondering if I could have some suggestions regarding Skype tutoring for those of us outside Australia? I live in Japan, so roughly the same time zone as Australia. I am looking for ongoing support (not remedial or catchup work) in English literacy for my 5yo daughter over the next few years while she goes to Japanese elementary school–once or twice a week, probably.My daughter speaks English at a native level. Are you aware of any services that would consider working with us? Thank you very much for the reply, Alison! I will take a look at the resource in question and see what I can find. I actually contacted the Sounds of Reading people as well, although I think they do mainly tend to do remedial work. I don’t know whether they would work for us, but if you are in touch with them I’d appreciate it so much if you could ask them to check their inboxes as I would love to hear their thoughts. Hi Alison, I read that you were updating your workbooks and I was just wondering if the books currently available are the updated versions, or if they’re still to come. Very keen to get started Thanks so much! Hi Alison I have just sent you an email regarding some freebies I have ordered. You are a very interesting lady. I am a Literacy Tutor with 2 others at Ravenswood Neighbourhood House. We are a community house run by the community for the community. We have 5 adult students and they are challenging to work witih. They have grown so much since we started with them last term. Their confidence has grown and they walk with their heads held up high now. Your website is great. Thanks so much for all the hard work you have put into it. I was just having a robust discussion with my colleague about the use of onset-rime spelling lists. What are your thoughts on them? Hi Terry, I think onset-rime spelling lists are better than random spelling lists, but the grain size is not the one on which our spelling system is based, so they aren’t as good as phoneme-grapheme-correspondence based spelling lists in terms of the reusability of the information. I would like to seek your advise on building sentence. My son is grade 1 but he is so behind in the class in literacy, numeracy, sounding out words. We have speech therapist session and working on the sound. His reading level improves a lot but his writing skills are far behind. Please recommend where to start to use your workbook here. Love all of your work resources and am grateful you share so readily thanks. I was wondering if you can tell me if the spelling program Sound Waves and Words Their Way are evidence based programs. I’m looking for a graphemes/phonemes poster for my son’s play corner. Initial phonics everywhere and not much else. I am a homeschooler and mum of 7. My oldest son was an amazing reader from the start and my daughter, who is 13, struggled a lot with reading and is still not great with comprehension for some styles, but she can read well enough to enjoy Friday Barnes books. I am confident she will continue to improve. My third child, Joshua, is 11 and still cannot read. He was tested by a speech pathologist who said he knew all the phonics sounds. He has been to a behavioural optometrist who says his sight is fine. Although he knows the phonics he tries to read everything by sight and isn’t at all interested in learning to read. He just asks someone else to read it for him and gets angry if we ask him to work it out himself. His younger brother (8), is a little behind for his age but is ready quite well, so he will read things for Joshua. I don’t know what to do to help him. Your program looks good but I don’t know where to start with it. Do you offer a package deal for everything? I would most likely use it for the younger kids later anyway. Should I just use your program and start from the beginning even though he already knows things? How much time should I spend with him on this each day? Should I still be asking him to read to me each day in addition to the worksheets etc? I’m so lost and yours is the only resources I could find which I can afford.. everything else is over $500! I am wondering how you would assign the letters in “could” or “would” on a phoneme-grapheme map? Thanks for your thoughts. I assign them c-oul-d, sh-oul-d and w-oul-d, just because of Occam’s Razor, I want the smallest number of categories possible. Thanks for a fantastic website – I just love all your ideas and insights. I am a teacher in a small school. 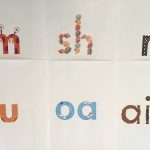 I teach Prep/1/2 and we’ve been doing synthetic phonics since term 4 last year. I’ve already noticed a HUGE improvement in my students’ reading and spelling ability which is starting to be transferred into their writing (yay!). We have the dandelion launchers books in our school and I have just purchased the Little Learners Love Literacy books too – we also have ‘the other’ type of books but they really don’t come off the shelf much. Haha! I only really use them with the children who have ‘got’ reading and are fluent. At this stage that is 2 students out of 16. I would love more decodable readers but our budget has only stretched to the L.L.L.L ones this year. We will save up for some more for 2019 or use the free SPELD readers. My question is….my principal is keen for me to do running records. As in the PM Reader Running Records. I am 100% sure of where each of my students is reading. They are doing so well but if I do a Running Record on them their learning won’t be reflected accurately. Do you know of an alternative to traditional Running Records I can use? Or should I be showing what phonics stage they are up to (e.g. CVC, consonant digraphs, digraphs, diphthongs etc). I hope this makes sense. Looking forward to hearing from you. Hello, my 8 yr old is a very strong reader, however is really struggling with her spelling. Where would I start? she can read and decode words well, just can’t get them onto paper. My 8 year old son has auditory processing difficulties and struggles with literacy. We were receiving help through the shine program through our school but it’s only eligible for grade 1 & 2. Leo is now in grade 3 and needs help with understanding sounds and words. I’m keen to go private. Can you recommend someone in Bentleigh or near here? That provides the same programs as you? Can we book a place in MSL camp in Melbourne for Jan 2019? My son will go into yr 6 and has finally a diagnosis of dyslexia. Our school has taken the jump into the world of decodable readers only in the early years. It’s an exciting time for change and although teachers have been challenged, they are all on board. We are using a PA screener tool to monitor progress but need a reading assessment system as the PM tool we have been using is no longer suitable. I realise it may be difficult for you to endorse a particular assessment but any recommendations you can offer to meet the systemic needs of a big school would be greatly appreciated. Hi Beth, can you use the MOTIF CC2 to assess word reading skills? It’s free online, see https://www.motif.org.au/home/test/cc2, and best of all it writes its own reports (yay). Tests of reading comprehension cloud the issue of whether problems are with decoding or listening comprehension, so it’s good to assess these things separately, get your school speech pathologist to do a CELF test with any kids who seem to be struggling with listening comprehension. I also use the Test of Written Spelling, but in a school the Single Word Spelling test might be a good option as it doesn’t require you to keep buying test forms, and ties to spelling lists. I am the mother of a 9 year old with Dyslexia and working memory delays. She has had various assessments as a 5 year old and is about to have another language assessment. I started speech therapy with her at the age of 2 for articulation errors and she continued with that therapy until she was 6. She has also had occupational therapy and vision therapy. She is of normal intelligence. She goes to a reading group at her school that teaches Mini Lit and at her previous school they loosely taught literacy using Thrass, which is a system that her new speech therapist uses as a tool. I am a teachers aide at a special school and the teacher I work with has recommended your program. Can you please advise which of your resources I should start with? Reading and spelling is extreamly effortful for her and her brain fatigues within minutes. Sorry to take ages to reply, Nikki. I don’t think I can advise you on this as I don’t have enough information about your daughter, but can you use my low-frequency word spelling test to problem-solve this with her specialist reading teacher? If they are trained in Minilit they will know about phonemes and word structure and be able to make sense of it with you. 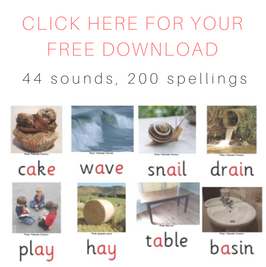 https://www.spelfabet.com.au/2018/01/low-frequency-word-spelling-test. If your teacher advises something other than my workbooks to improve her spelling, then I would follow their advice, perhaps they also use the multilit spelling program? Do you offer advertising space on spelfabet.com.au? Do you offer article placement? 1. We will get the content written. The content will be of excellent quality and will fit the topic/nature of spelfabet.com.au , all you will need is to publish it. 2. The article is not marked as sponsored and will stay on the site permanently even if it rolls over into the archives. 3. We will pay you via Paypal once the article is live. Dear Steve, no, I don’t have ads on my website, as a professional it’s not really acceptable to do this, and if by “gaming” you mean gambling, those ads would be very unsuitable anyway. Best wishes, Alison. After speaking with one of the librarians at our local library (Korumburra) about books available for children with learning difficulties and dyslexia, the librarian has asked me to email the principal library to make a suggestion as apparently they have recently had some PD in regards to dyslexia. I was going to ask if the library might be able to purchase some sets of decodeable readers and wondered if it was ok with you if I used some of the suggestions on your website and mentioned your program and website? 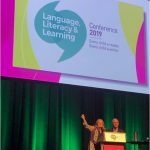 I’m a teacher (formerly RR, now MSL, still in school as LaST in NSW), and I really appreciate your insightful blog posts. 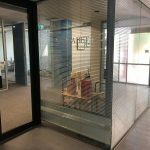 I’ve started a company called Dyslexia Southern Sydney, and I frequently share your posts (hope you don’t mind). I’m hoping that you will give me permission to use your blog posts in PD at my school? I’m working hard to transform their mindset, but I need some back-up. Are you ok for me to use your blog posts and material to persuade my colleagues? Do you offer advertising space (or article placement) on spelfabet.com.au? Hi Steve, no, I don’t offer advertising space. hi .do you have special resources for esl learning ? While pronouncing word “death” and “dean” . I m learning phonics with the help of your website. In first word its short e and second word its long e . How can we differentiate it . Everything makes much more sense if you first work from sounds to letters, not letters to sounds, so heading in the spelling direction not the reading direction. All sounds have more than one spelling, and the sound “e” as in “red” is sometimes written with the letters EA as in “I have read a book”. The sound “ee” as in “see” is also sometimes spelt EA, as in “sea”. As each sound is studied, groups of words with the target pattern are practised. You can then go back and work from the reading direction and notice that the spelling EA can represent a few sounds, as in sea, head, break, Sean, bream etc, but most commonly it is pronounced as in sea or head. My spelling lists allow you to look up a sound and find all its spellings, and look up a spelling to find all its sounds. The order of teaching depends on the program you’re using, a well-designed one will cover all the patterns and allow practice to mastery of each. I wondered if you hold any information or research regarding the preference for Multi- Lit as a treatment for reading Disorders instead of the THRASS method of teaching reading. I am having trouble convincing a school that Multi- Lit is the preferred treatment (based on Centre for Effective Reading NSW recommendations). I wondered do you have any information or is there someone you suggest I could ask? Do you offer advertising space/article placement on spelfabet.com.au? We will get the content written. It will be fully original and of excellent quality, it will fit the nature of spelfabet.com.au, you will need just to publish it, if you like the text. Thank you so much! I’m sure you would have heard my story before, here is the summay: educated parents, language rich environment, Mem Fox ‘123 Read’, growing concern, child doesn’t remember magic words, what’s going on? ‘He will get it, boys develop later’, still no improvement. ‘Do you read to him?’, extra guided reading of PM readers, still no improvement, in fact a step backwards to wild guessing based on the first sound of the word. How do you keep going? You are simply amazing! I can’t find any reference to the International Foundation for Effective Reading Instruction on your site. 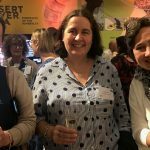 Do you feel able to refer to it please as I would like to think it provides a wealth of information – including many references to your own excellent posts? Hi Alison – thank you so much. I’m totally sympathetic about the difficulty of keeping up with updates etc. It’s an impossible task so no criticism for me. Your site, broken links and all, is still a gem – invaluable. Hi Alison. Have been following you for a little while & your name popped up in conversation recently so I thought to look you up aging. We live in remote WA and my son is 8-9 yrs old. He is struggling with his reading and phonic sounds. We read with him daily but seeing slow improvements. There is no one in our town to assess him or even close by due to our remote location. We are visiting Melbourne over Christmas until mid Jan. I was hoping we could see you for an appointment. Understand you may however be on holiday/having a break. I love the sounds booklet. However would it be possible to do a version for South Australia. Our letter ‘k’ doesn’t have any loops. Very excited my school has given me the go ahead for decodable readers for my Year 5/6 struggling readers! I saw in a recent post you suggested some different reading schemes and mentioned the possibility of viewung them in your Fitzroy office , ( I hope I am correct in assuning this). Could I please arrange a suitable time to do this? And if not are you able to suggest a good starting point. Hi Susan, Sorry to take ages to reply, I am totally snowed under, but YES, let’s talk on email (spelfabet@gmail.com) about a time for you to come in and look at my books. The middle of the day is when I am least busy, but maybe that’s not a possibility for you? My name is Aly and I would like to know if you would have any interest to have your website here at spelfabet.com.au promoted as a resource on our blog alychidesign.com ?